Substantial storm loading occured overnight and is forecasted to continue through Tuesday. This storm came in well below freezing on Sunday and is finshing at or above freezing Tuesday. The weak layer below this storm loading appears to be the surface hoar that developed during last weeks bitterly cold temperatures. These weak layers sit atop an excellent bed surface of a rain crust. This most recent storm event must not be taken lightly. Natural releases are evident and human triggered avalanches are very likely. 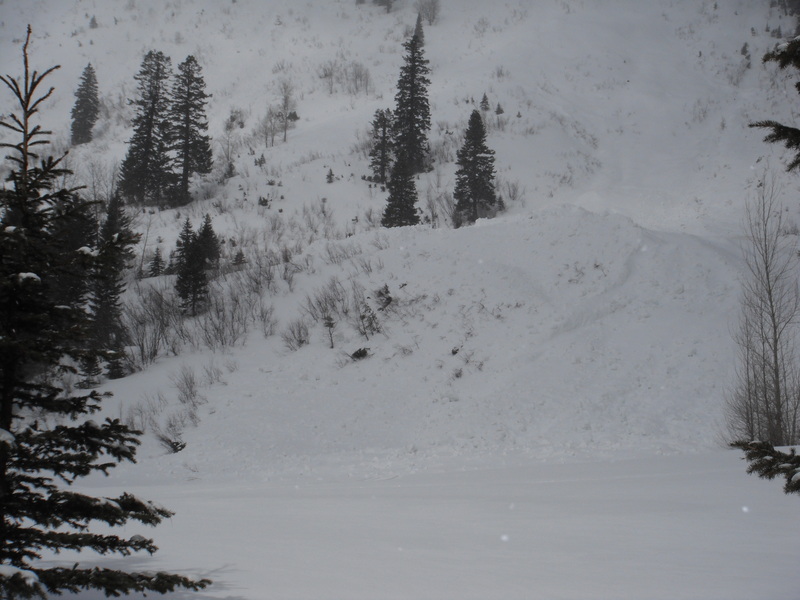 Travel in avalanche terrain is NOT recommended. 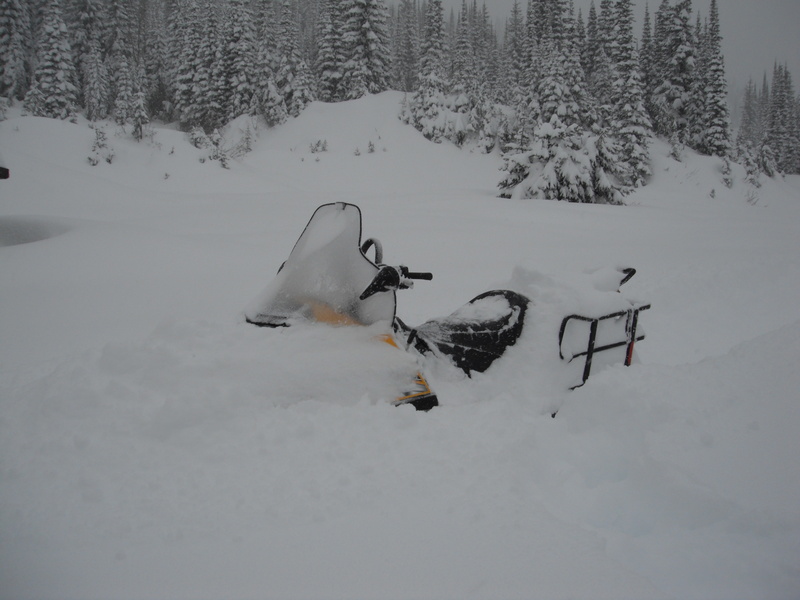 Backcountry travelers need to give the snowpack some time to adjust to its new load! With the most recent storm, the backcountry is inviting for powder enthusiasts. This is what everyone has been waiting for. 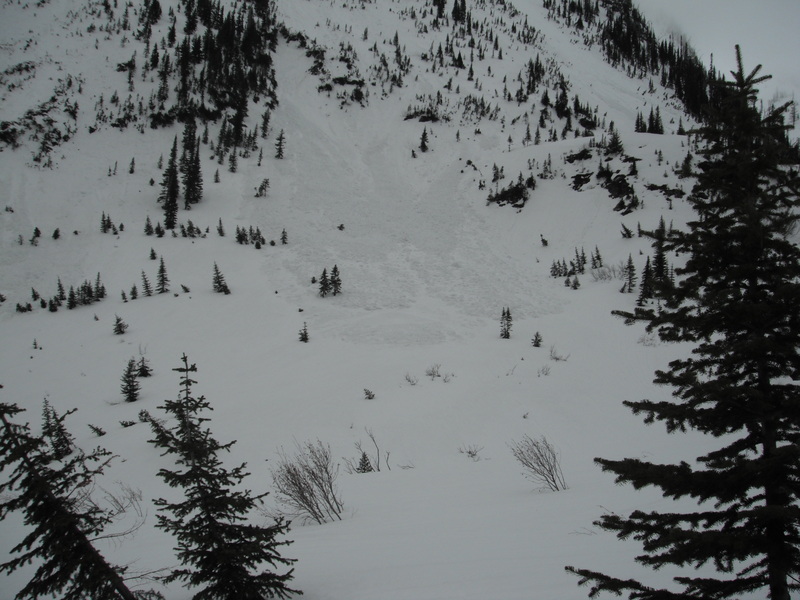 Backcountry travelers need to accept the information and realize that the avalanche hazard is HIGH. Travel in avalanche terrain is not recommended. Today I visited the upper Bear Creek Basin at 5500 feet in the East Cabinet Range. 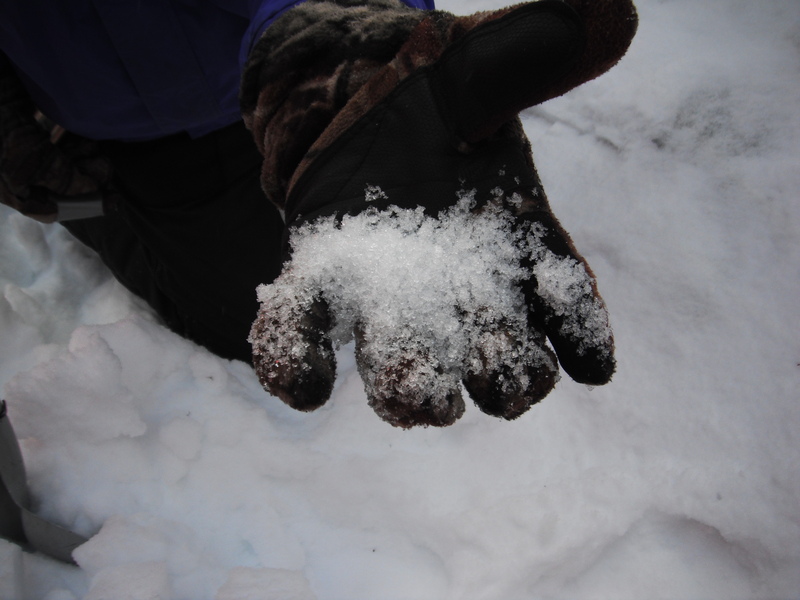 As I climbed from 5000 feet to 5500 feet, I experienced frequent collapsing of the snowpack at 4-6 inches below the new snow over night. There was little evidence of wind transport in the basin over the last week. Natural soft slab releases during the night occurred, especially on the steeper north aspects. 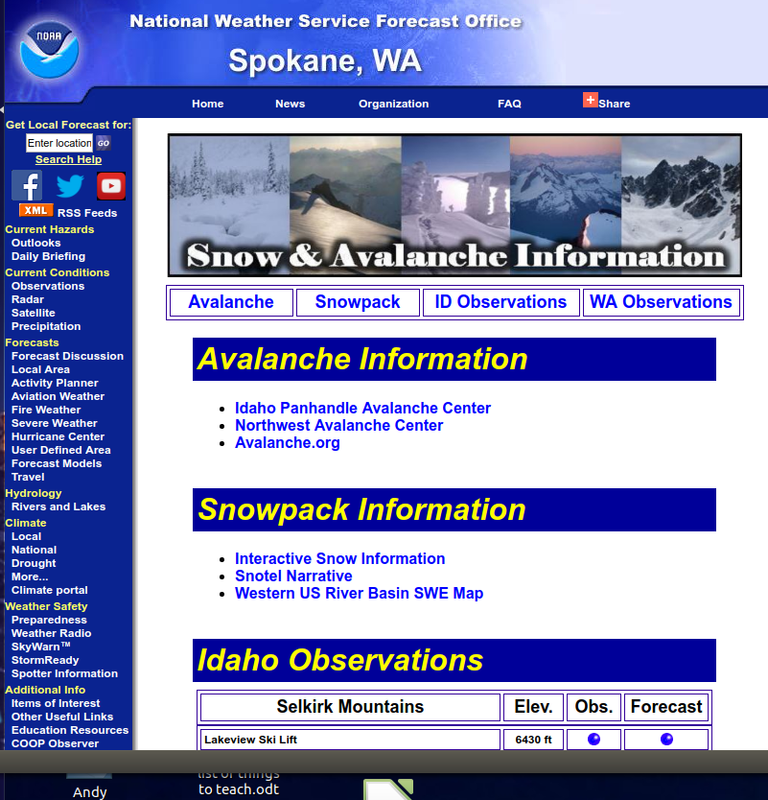 On a moderate south aspect I found 71 inches of snow. The top 19 inches was very soft new snow from overnight. Below this is a 6 inch soft slab (4 finger), then a 4 inch hard slab (1 finger) atop a knife hard rain crust. Below this rain crust is a 12 inch hard slab (pencil) that sits on the Thanksgiving rain crust. Extended Column Test resulted in propagation across the column at 25 inches from the surface with easy force. Failure was on a buried surface hoar layer that probably formed during our bitterly cold temperatures of last week. Since Wednesday, December 31st weather has been cold and until Sunday afternoon. Temperatures moderated and climbed just above freezing Monday morning, January 5th, with the advance of a very strong wave of moisture. 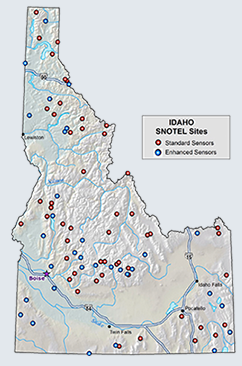 From Sunday afternoon through noon Monday, SNOTEL sites reported SWE increases of 1.1- 3.0 inches with snow depths increases of 4 inches to 13 inches. Today in the upper Bear Creek basin, light snow continued to fall and temperatures were around 28º F. There was no evidence of wind in the basin or the ridgelines above it. In Bear Creek Meadows, we measured 19 inches of new snow.